For a long time my eldest has wanted me to twist her hair up for it to dry after we get out the shower. We have tried over and over with towels, but they just don't stay on and then she gets upset. It is because I tie my hair up and she is wanting to copy. After visiting the baby show we came back with a Cuddle dry, cuddletwist. This was the perfect solution. 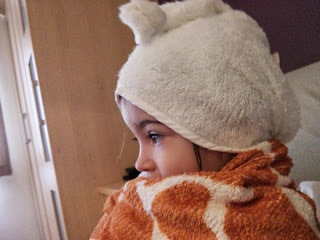 The hood of the towel went on her head, I twisted the back and then slotted it into the elastic on top. It stayed in place and she was ever so pleased. I loved how happy it made her that she could finally put her hair up. The cuddletwist also, due to its high absorbency, dried her hair a lot quicker which meant we did not have to struggle so much to dry it. 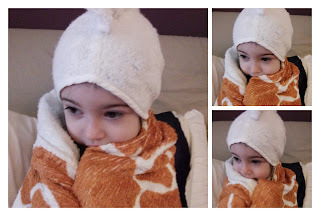 I am so glad we found cuddle dry at the baby show because they really made my daughters morning. She is ever so happy to be able to twist up her hair and she adores her new towel. I am even thinking of buying one for me!